Requests are sent in real-time to the driver app including the options to accept or cancel requests in a limited time-frame before sending it to the other optimal driver. 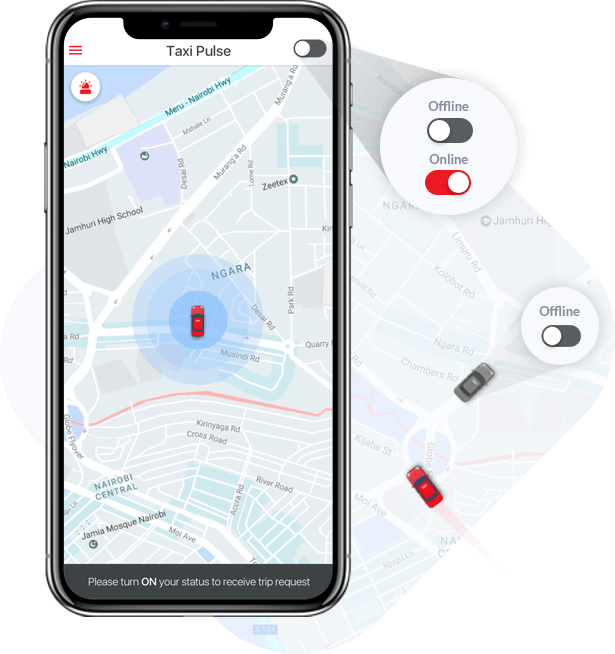 Drivers can change their availability status between online and offline anytime from the app and accordingly receive new dispatch requests to start and end the trip. Drivers can get the detailed summary of the trip they last took including the taxes, time taken, distance, and a trip map. 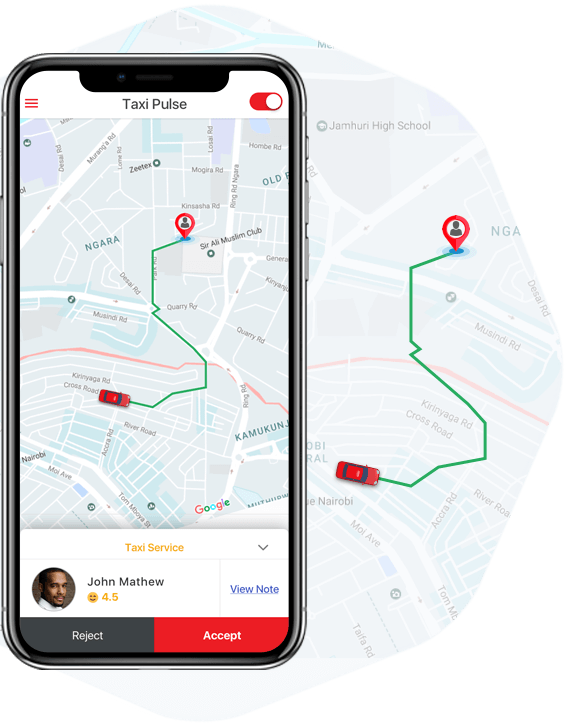 Drivers can get the best routes between the pickup and drop location and ETA information using Google Maps-powered navigation feature in the taxi dispatch app. Drivers can track their daily trips earnings, passenger feedback and performance insights from a dedicated driver dashboard section. 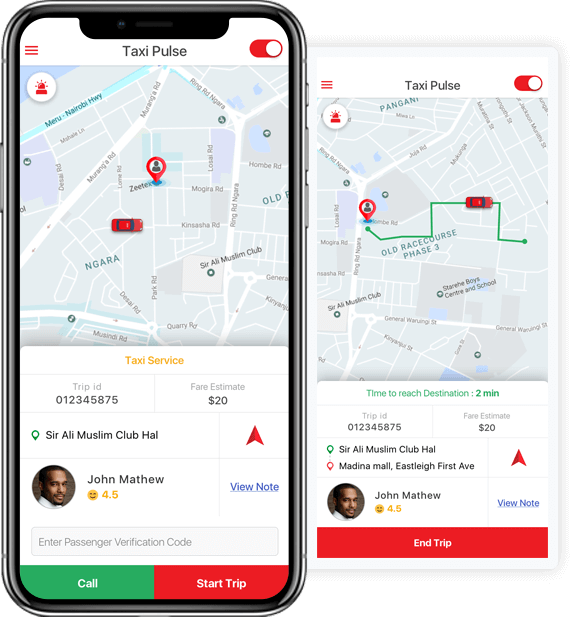 Our best-in-class Taxi dispatch app solution includes all the functions and features your drivers will need to carry out their job efficiently. 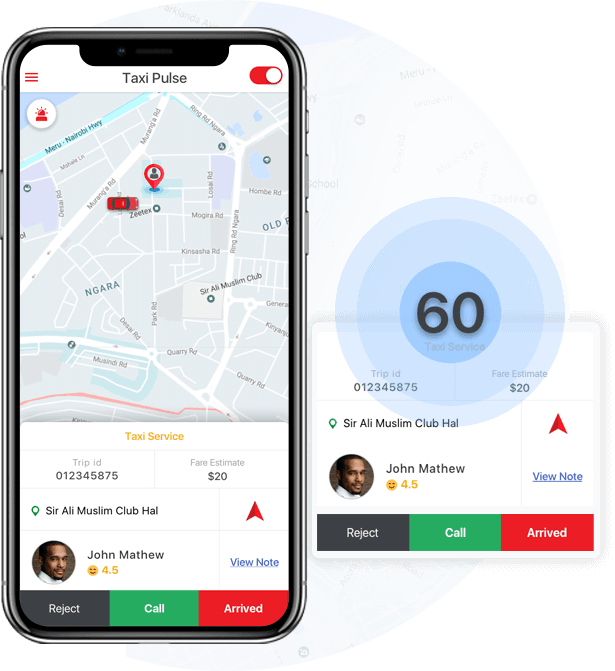 Our user-friendly and intuitive taxi dispatch software solution is packed with a host of features that are enough to make your app more interactive. Drivers can easily register the required details and request a signup. Drivers can stay flexible and change their availability status anytime. Drivers get real-time notifications for new pickup requests while they are on a trip. Drivers get a restricted time frame to accept or reject a ride request. Drivers get key details about their passenger for an uninterrupted pickup and drop. Drivers can contact passenger for any information regarding pickup location. Drivers can easily mark their trip status such as arriving, start and end to calculate the automated fare. 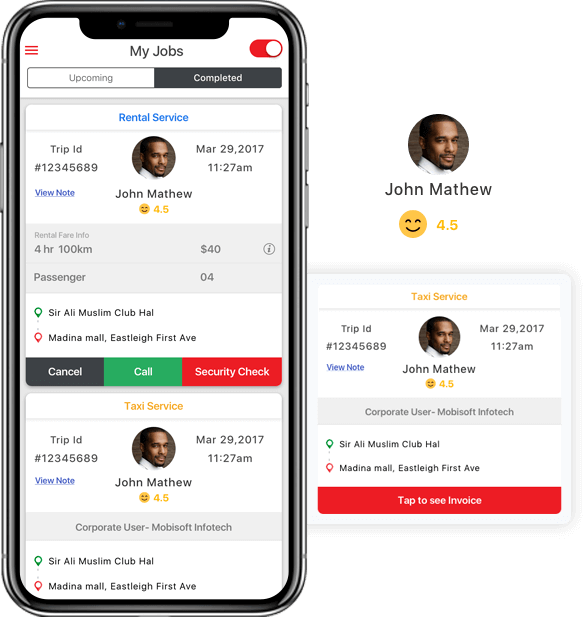 Drivers can check their complete job history and detailed list of their earnings including insights and stats. A dedicated section where drivers can get useful information on their performance and feedback. An option for drivers to rate their experience with passengers and raise bad behavior issues. Drivers can cancel a booking from their end when required.